Are you looking for a Field Service Management Platform for you business. Learn why you need to make sure it has a very easy to use dispatching process so you can make changes on the fly. You need to be able to drag and drop your work orders by the users or resources like trunks and crews. Learn how easy it is to do with a FSM Platform like NetDispatcher. Drag and Drop Dispatching is one of the most requested features when you are looking to buy a Field Service Software Platform. This video also show how easy it is to use our software. You can see by the top area this is where you click on the Dispatching Tab and it brings you into our dispatcher view. From this view you can choose on top screen your orders or use the drop down menu to change the view. You can see the different color codes for each orders. This is very customizable so you can make changes to the view. If you need to assign a order to a person or crew all you have to do is drag n drop the order on to that person and the date you need it. If you need to reschedule it very easy to do. Just move to new date and time or different person. We want to make it as easy to do as we can. We have help customers who use paper or a whiteboard in the past and make our view look just like they are use to. This way they do not have to learn a new view. Learn how NetDispatcher is your next Field Service Platform that can automate your business to save time and money. We can show you a quick demo of the software or get a 14 day free trial. I am happy to join NetDispatcher as the Channel Sales Director. We are looking for new partners. Learn how NetDispatcher helps Landscape Business automate their business process that makes them more money and billing easier. NetDispatcher is the best field service platform for your landscape management business. See the overview of our landscape management software process. NetDispatcher software is easy to use and is the leading landscape maintenance software on the market. How will a landscape management software help you automate your lawn care business better. NetDispatcher runs you billing, invoicing and scheduling from one interface. We are a SaaS based solution so nothing to install or manage. Our Field Service mobile application runs on any type of mobile or tablet device. We are the best field service management software for lawncare, snow blowing for scheduling and recurring jobs scheduling. Do you need to have crew leader manage time tracking for your landscape crews. We can automated this for you. We help your landscape business be more efficient and save you time and money by automating your business process. Learn more about password management tools and why a enterprise needs them. We provide password manager to solve your complex policies. Do your end users try to game your password policy by doing something like this. How do you make sure your password policy makes this type of simple to use password not happen on your network. We all now that end-user are going to try to use the same password over and over again. Don’t let them do it make sure your password policy never let them use the same password. They will try to just add another number or letter to the end of the existing passwords can your enterprise password management solution stop this from happening. 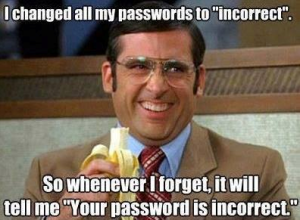 If not then you need a new way of creating a strong Password Policy. 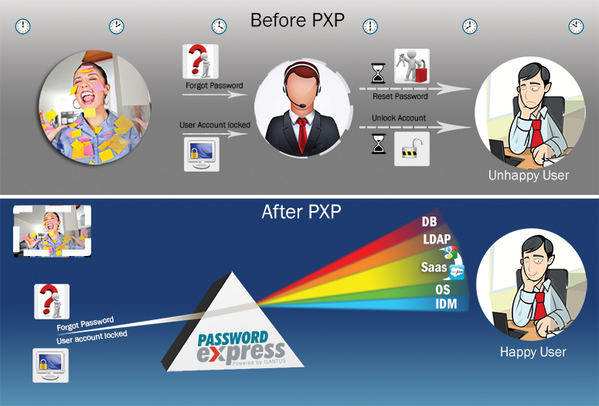 Learn why password management is need in your enterprise today. Every corporate user had between 15-30 userid and passwords that they need to keep up with. You need a solution that is easy to use and quick to get up and running. Just think if all your users only need to remember there active directory password and have a enterprise password management solution to reset passwords. This video is a great starting point. If your in the market for a enterprise password management solution ask me how we can help. Thanks for stopping by. This blog is about helping channel partners in Network Security and IT networking area to sell and promote their products and services. I have over 19 year of Channel, Reseller and IT experience to help you grow your business. We will be talking about Social Selling , Password Management, Network Security, SEO services in this blog. I am thrill to learn how we can work together and learn from each other. Check back often as I will be updating often.